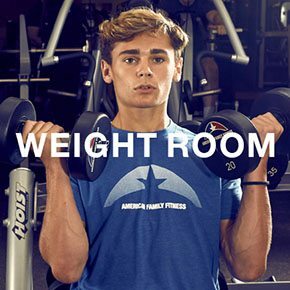 American Family Fitness offers cardio training in Glen Allen, with the best variety of equipment and group exercise (including aquatic classes). Know why you feel so good after cardio? When your heart starts pumping with exercise, your metabolism fires up to burn calories and melt fat. Oxygen is distributed and energy increases. Your body is protected from certain diseases such as diabetes and high blood pressure. It’s no wonder! Cardio training can radically improve your health. With consistent aerobic exercise, you gain strength and endurance for your heart and lungs. You also reduce your risk for many chronic illnesses like heart disease and diabetes. Cardio training is also a great jumpstart for your metabolism to burn calories and fat. 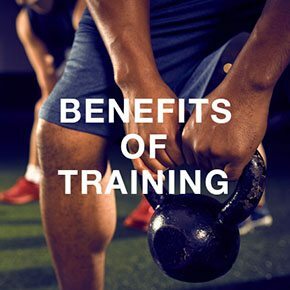 Weight training is a vital part of fitness and the perfect companion to cardio training. At our Glen Allen gym, we provide weight machines and a variety of free weights for our members to enjoy. Are you tired of waiting in line for equipment? At our health club in Glen Allen, we make sure that you’ll wait no more. 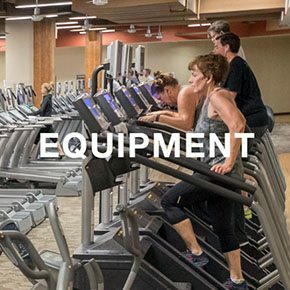 Our huge selection of equipment includes treadmills, elliptical machines, bikes, rowers, and stair climbing machines. Come in and see what we mean.